The word 'cannibalise' is used a lot in the drinks industry. Trying to predict whether a company has launched a new product that will figuratively eat into another it already owns is a familiar pastime for analysts and industry pundits. 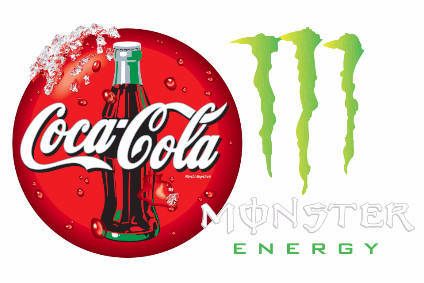 So, when The Coca-Cola Co confirmed plans last month to roll out an energy drink under the Coca-Cola trademark, the cannibal question came up and, on the face of it, with good reason: Coca-Cola owns around 17% of energy drinks giant Monster Beverage Corp. The launch also takes place also under the shadow of arbitration. A spokesperson for Coca-Cola told just-drinks last week that the group is still awaiting a resolution to its dispute with Monster over whether the former is supposed to be launching an energy drink at all. "The Coca-Cola Co filed for arbitration with Monster in October 2018 to help resolve our differences in contract interpretation," the spokesperson said. Judgement is expected to be handed down in the second quarter of this year and, when Monster announced its 2018 results at the end of February, CEO Rodney Sacks said that "whatever the outcome of the arbitration, we will continue to cooperate and work together as partners". So, arbitration results pending, Coca-Cola has announced the launch of Coca-Cola Energy in Spain and Hungary, with further international roll-outs planned "throughout 2019 and 2020". Meanwhile, according to analysts at Bernstein, Monster continues to expand internationally, "largely with the help of the global Coca-Cola system". Why, then, would Coca-Cola bring out an energy variant of brand Coke? Granted, they're both energy drinks, and they'll no doubt share more territory as the roll-out of Coca-Cola Energy gathers pace. But, cannibals? No. There is room for both. Looking forward, the energy drinks sector is set to continue its growth trend. According to GlobalData, the value of the energy drinks market will increase from US$61.6bn this year to US$73bn in 2022. And, here's the thing: not all energy drinks consumers are the same. We live in a world now where drinks companies no longer view categories and consumers as silos, never crossing into other territories. We should also consider that within a category there are different need states and different consumption occasions. Although the launch is in the early stages, Coca-Cola's proposition appears to target an entirely different consumer to Monster Energy. Coke Energy carries the tagline 'Spread your positive energy'. The launch materials talk about ingredients from "naturally-derived sources", along with "guarana extract, B vitamins and no taurine". The drink, says Javier Meza, global CMO for sparkling at Coca-Colao, is designed to be a "preferred option for people who want these types of ingredients in an energy drink". 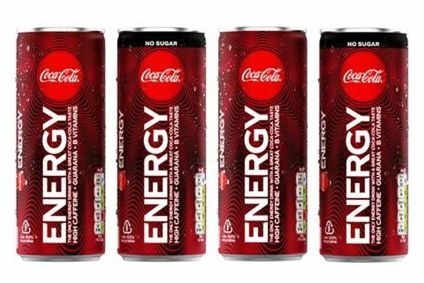 Coca-Cola Energy, which is aimed at consumers aged between 18-35 years old, also comes in classic as well as sugar- and calorie-free variants. With its "naturally derived sources", sugar-free variant and message of spreading positive energy, the drink may enjoy a halo effect from the wider health & wellness trend. This is a trend that is expected to be worth US$815bn by 2021, according to Euromonitor International. Then, there's the slim can. The roll-out in this "sleek" format follows last year's redesigned Diet Coke range. At the time of the Diet Coke revamp, the company said: "Millennials are now thirstier than ever for adventures and new experiences, and we want to be right by their side. We're contemporising the Diet Coke brand and portfolio with sleek packaging…"
Compare this to brand Monster with its large, black cans and monster claw marks. Marketing material comes with wording such as "tear into a can of the meanest energy supplement on the planet" and "unleash the beast". Elsewhere, Monster's sponsorship activity centres around motorsports, action sports and gaming. Away from its namesake brand, Monster's other propositions stick to a similar MO - with names like Burn, Full Throttle and Predator. With the new launch, Bernstein analyst Ali Dibadj tells me, Coca-Cola is looking to underline the functionality it has anyway in regular Coke. "Some could argue Coca-Cola was the first energy drink after all," he said. At this early stage of the game, Monster Energy and Coca-Cola Energy appear to cater for entirely different consumers. Coca-Cola Co's launch, therefore, should add to the overall energy drinks category, rather than prove cannibalistic to Monster. After all, it's probably not a good idea to try to eat monsters.